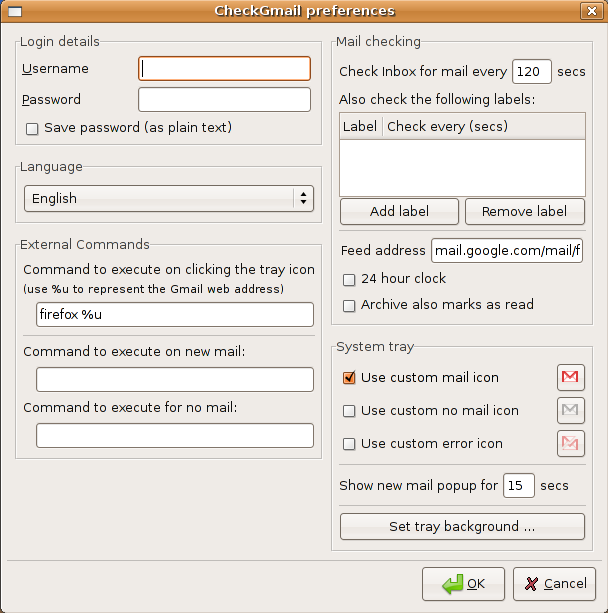 CheckGmail is a system tray application that checks a Gmail account for new mail. When new mail is present the tray icon changes, an optional animated popup is displayed and a tooltip displays the number and details of new messages. Each message can be opened directly in a browser window, and many common Gmail operations (marking as read, archiving, deleting or reporting as spam) can be carried out on messages directly within CheckGmail, without the need to use the Gmail web interface. 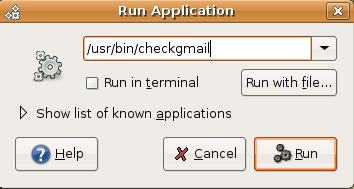 Once you select the checkgmail application you can see the following screen and click on "Run"
You should see the following screen and here you need to click on "Add"
Now you should see the following screen here you need to click on "Browse"
Is there a way to check multiple gmail boxes? Just wanted to say thanks for the info. 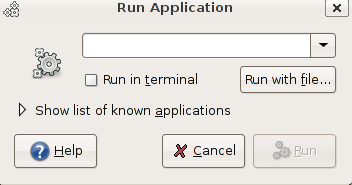 For someone making the leap into Linux, this was a good starting point in a number of ways. I also wanted to thank you for this clear set of instructions. Easy as pie, no redundant explanation. Thank you for this guide. 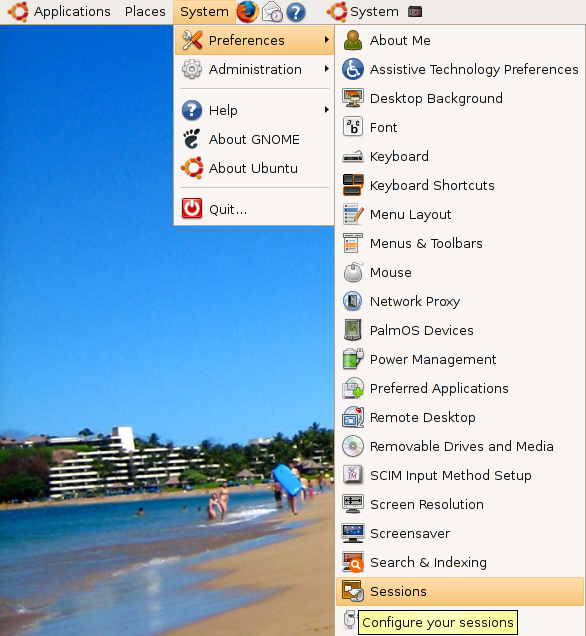 As a new user of Ubuntu, i found this pretty useful. Thank you for this very useful program. I was using a different checker, but yours is better. 🙂 I like your instructions; they’re very easy to understand. Excellent! Thanks for the great instructions… even I can follow! 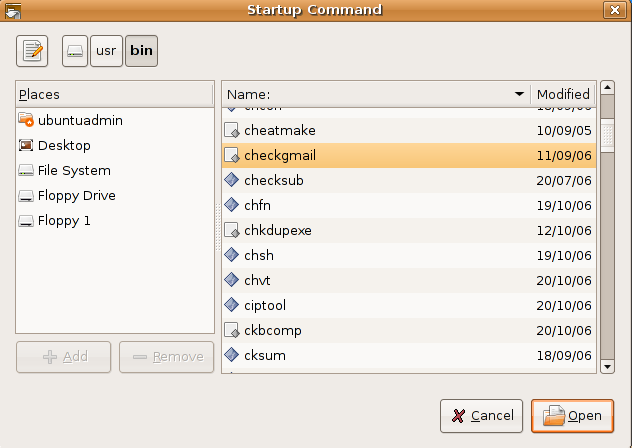 I tried others before (the Ubuntu Starterguide) but they were not as well written as yours! Thanks for your time & efforts to share these!!! 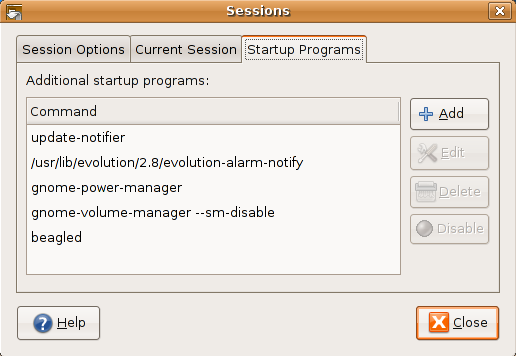 As #2 said, the guide was helpful to me in a number of ways as a new ubuntu user! However, I can not log into my gmail account since the message goes something like ‘not correct username or password’. Same problem. Incorrect username or password. Super, thanks a lot! Great Walkthrough! Hi – Excellent set of instructions! I wish the entire Linux community would learn to publish useful instructions like these. I have the same problem as mentioned by other users, “Incorrect username or password”. How can this be fixed? Still i have the problem 🙁 incorrect user name and password.. I tried without @gmail.com part but still it doesn’t work..
Guys, what happened? Running Jaunty and it is a no go here. Incorrect username and password. And I know they are correct. Same for username w/ @gmail.com and without. Come on! This is so much better than the other applets out there… but they work! I had the same problem. 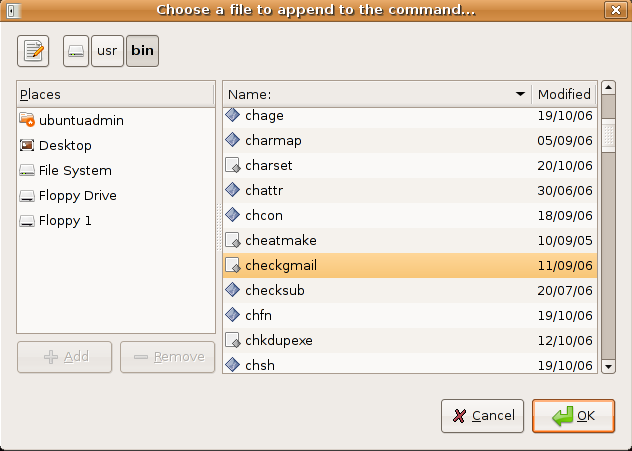 The solution is to start this app with “checkgmail -no_cookies” command. It works for me. You can track this bug in this topic: http://sourceforge.net/projects/checkgmail/forums/forum/463626/topic/3405947/index/ . Actually, problem for people who know their credentials are correct is that this program is poorly written. Those of us whose passwords are very strong strings, which include what are escape characters will fail. I am not sure if it is a failure to HTML entity encode, or the language of the string handler in the applet, but when I changed my password to not use the ‘ character , everything worked again. I was having the same problem suddenly with the login system and my password isn’t overly complex. The -no_cookies option did the trick, thanks!